When Mehmet Oz or any of New York's leading doctors has a patient whose life depends on losing weight, they call on Joel Fuhrman, M.D. 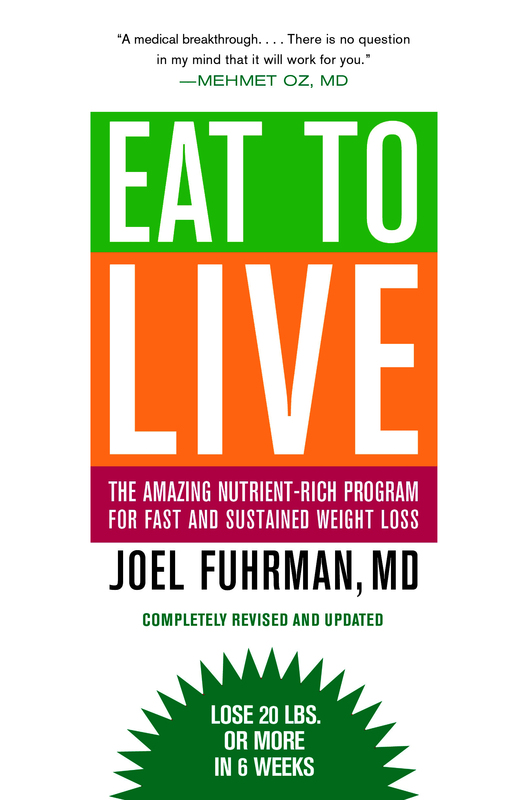 In EAT TO LIVE, Dr. Fuhrman offers his healthy, effective, and scientifically proven plan for shedding radical amounts of weight quickly, and keeping it off. Losing weight under Dr. Fuhrman’s plan is not about willpower, it is about knowledge. The key to this revolutionary diet is the idea of nutrient density, as expressed by the simple formula Health=Nutrients/Calories. When the ratio of nutrients to calories is high, fat melts away and health is restored. Losing 20 pounds in two to three weeks is just the beginning.